Appeal to Muslims all over the world! 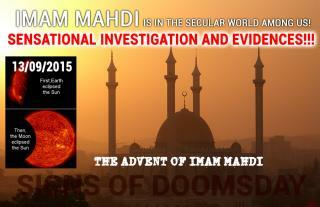 A sensational investigation and comparisonof Islamic traditions containing the signs of Messiah Imam Mahdi’s advent with the present-day reality! Three public interviews with Igor Danilov (Rigden Djappo) (A Frank Dialogue about the Most Important, The Meaning of Life: Immortality, and Unity) posted on YouTube urged us, a team of independent analysts, to search supplementary materials and seek answer to the main question: how important is for us, the humanity, such event as public appearance of and open appeal to people by the Spiritual Being called Bodhisattva in the Orient? In our opinion, the advent of such a notable historical figure could not be disregarded in legends and predictions of various religions of the world. We directed our attention to Islam, and what we immediately found really staggered us. Muslim traditions called the Hadith are permeated with predictions that are coming true nowadays, and we will endeavour to give truly sensational evidence in the very article. It’s really amazing: the further we plunge into our search, the more often a strange feeling arises that not we are looking for prophecies and predictions, but rather prophecies and predictions look for and find us! 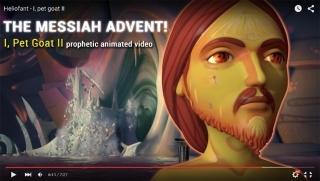 This time, once again, we have “accidentally” discovered staggering information dating back to several centuries ago, which is concordant with and supplements the topic we investigate: the advent of Messiah (Archangel Gabriel). 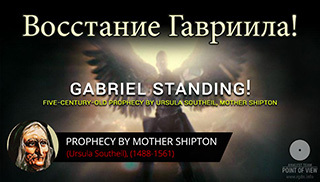 In this article we shall speak of predictions by mysterious Ursula Southeil (1488-1561), Mother Shipton, or the Yorkshire witch as she was also called. Let’s recur to the Doomsday signs again. The deeper we delve into the subject the more large-scale this puzzle appears. For a sensible person it is obvious that so numerous facts, signs and events cannot be mere coincidences. 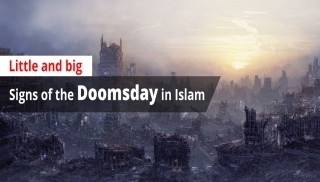 The topic involves different times, different religions, different prophets and different continents, but the gist is single: there will come a point when humanity will approach “the last, judgement days”. 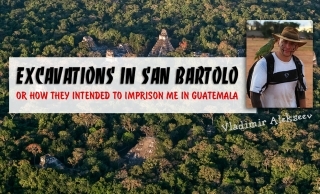 These will be the times of particularly formidable trials, and for this very reason the idea of unification of all people is so important today as mentioned in the recent Unity program where Igor Danilov was interviewed. 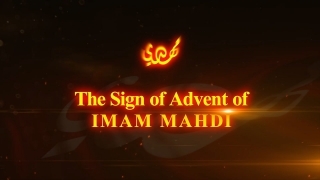 As for this outstanding personality, every day we get further more evidences that he is exactly Imam Mahdi long-awaited by the entire Muslim world. 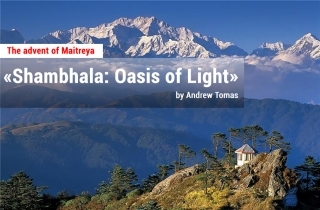 Once on the web we found a book Shambhala: Oasis of Light by Andrew Tomas, containing very interesting lines regarding the advent of Messiah Maitreya. Who is Andrew Tomas? This man (1906-2001) was initially named Andrey Tomashevskiy. Before the age of 20 he lived in Manchuria where his parents had emigrated due to the revolution in Russia. Later on, for many years he stayed in China, Japan and India, learning from Taoists, Buddhists and Brahmans. 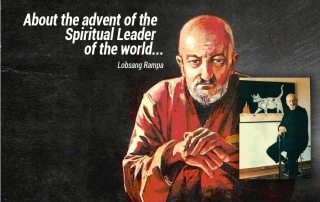 Moreover, he could safely be called a disciple of Nicholas Roerich and had first-hand knowledge of Europe, America and Australia. During the last decades of his life Andrew Tomas was formally an Australian citizen, but he said his home was the entire globe. Studying numerous prophecies and records from diverse scriptures of different cultures and ages, which we have earlier referred to in our publications, we can see an obvious fact that most people who reckon themselves among followers of one or another religion or belief are waiting for the advent of Somebody Great, Somebody who should come and save them, put things in order in the world, punish, reward, restore justice, ensure the bright present and future for them, do good for everyone, etcetera, etcetera. At the same time, an impression arises that people’s ideas of such truly important event boil down to the mystically primitive understanding from a Russian children’s song: “A magician will suddenly come in a light blue helicopter…” – and everyone will become happy! 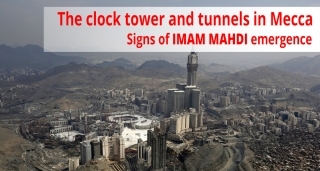 The clock tower and tunnels in Mecca are the signs of Imam Mahdi emergence. On our screens we now see the city of Mecca and the world’s tallest tower with a clock on it. This is something unusual. Later on you will find out the incredible truth. 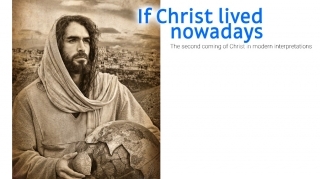 Here we present one of religious views of the Second Coming of Jesus Christ, which is based on interpretation of the Holy Bible. We have found this article on the web and considered it appropriate to publish it in our Christianity section with certain amendments. 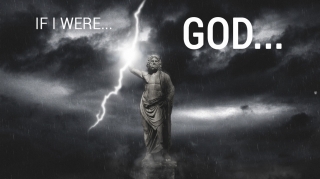 Since we believe our approach to such a significant event as the Second Coming must be as versatile as possible, a different opinion, even from a narrow religious perspective, is always welcome on our portal. 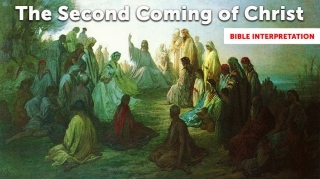 Hopefully, the author of these lines truly believes in the advent of Christ and not just uses this “fashionable sacred legend” as a habitual tool to strengthen his or her local earthly power, although to be more precise holy Christian texts tell about the advent of the Holy Spirit or Comforter rather than the return of Jesus Christ. 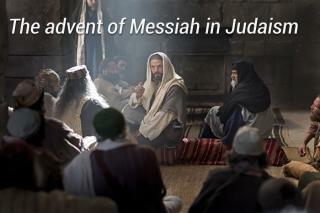 After all, Christ himself said so to the apostles in the Gospel of John 14:15. Therefore, let’s try to treat the information given herein indulgently. 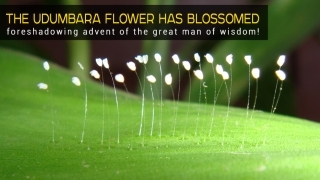 The udumbara flower has blossomed, foreshadowing advent of the great man of wisdom! Another unexpected and significant event has taken place! The udumbara flower has blossomed on the earth. According to a Buddhist legend, it blossoms once in 3,000 years. They say the last time it blossomed before Gautama Buddha’s birth, while during the last 20 years its flowering has been observed all over the globe. 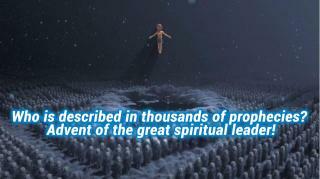 It is also said the udumbara blossoming foreshadows the advent of a great man of wisdom or enlightened sage.